Funko is finally releasing a second wave of Classic X-Men Pop! vinyl figures based primarily on the ‘90s era of Marvel’s popular mutants. The Classic X-Men Pop! 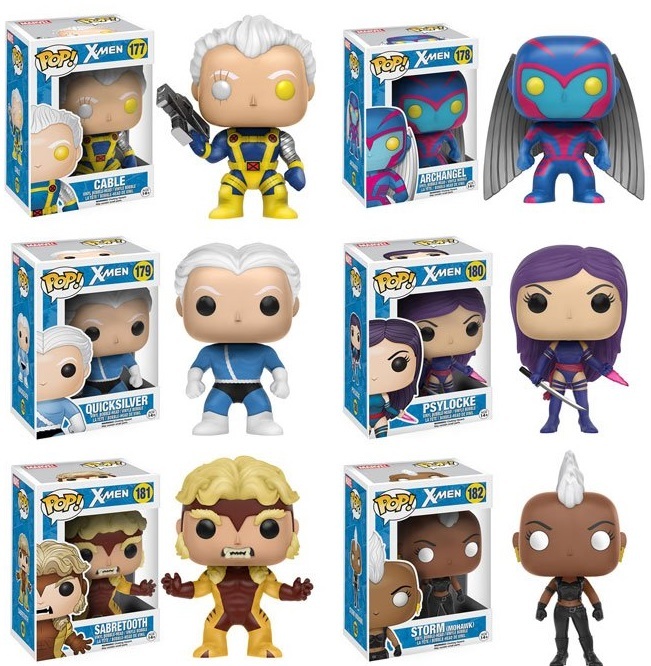 Marvel Series 2 features ‘90s versions of Cable, Archangel, Psylocke and Sabretooth, along with a retro Quicksilver and Storm sporting her ‘80s mohawk. Each Classic X-Men Pop! Marvel vinyl figure stands 3.75” tall, features one point of articulation and comes packaged in a full color displayable window box. Collectors can pre-order these awesome new toys now at Entertainment Earth for $10.99 each here.